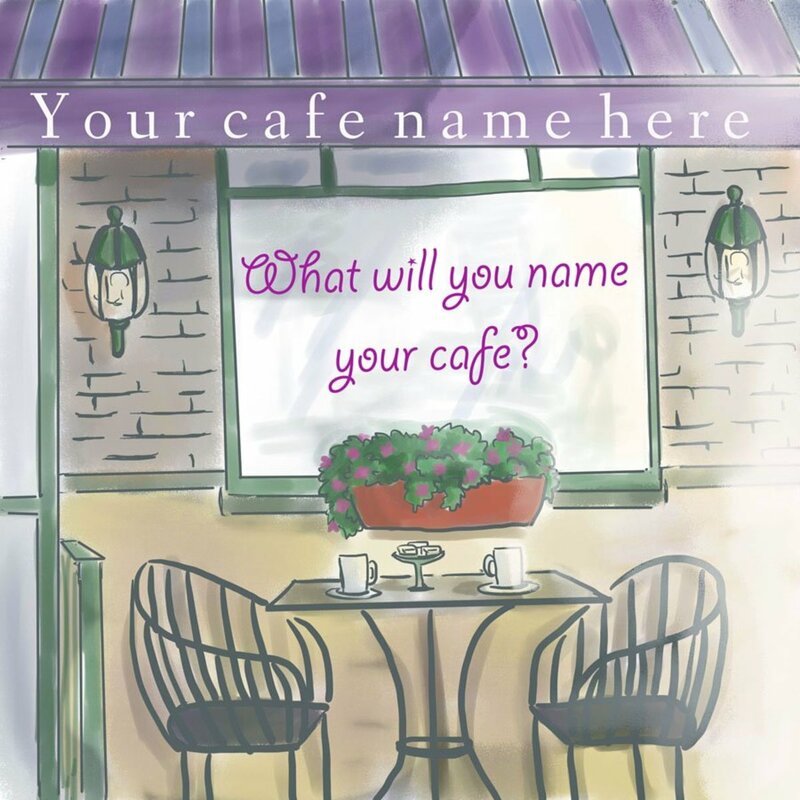 As an online project manager, Jeanine enjoys sharing the adventure and travel that come with finding her next coffee shop office. 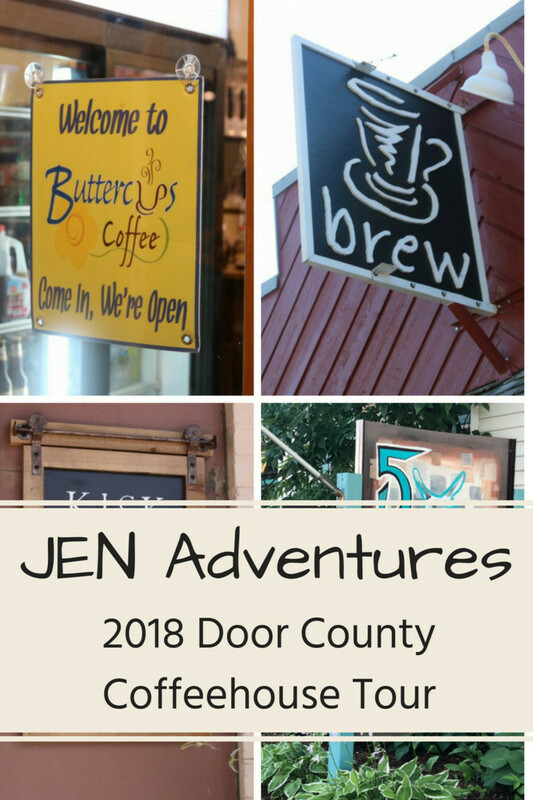 Our coffeehouse tours of Door County started in 2015 when we traveled to Door County to cheer on my brother as he competed in his first Door County Triathlon. 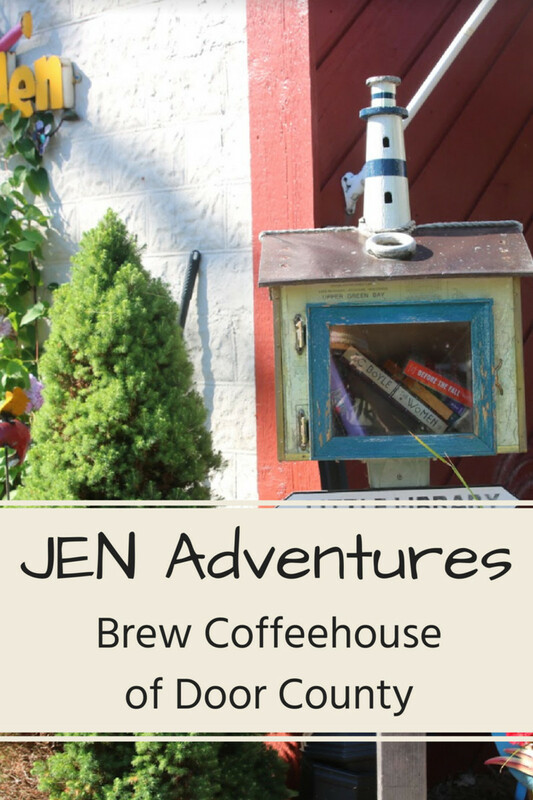 Finding ourselves restless between the events my daughter and I took to Google to find a nearby coffeehouse, thus initiating the our first annual Door County Coffeehouse Tour. Several years later the tradition continues as we search out fun and interesting coffee shops with personalities all of their own. 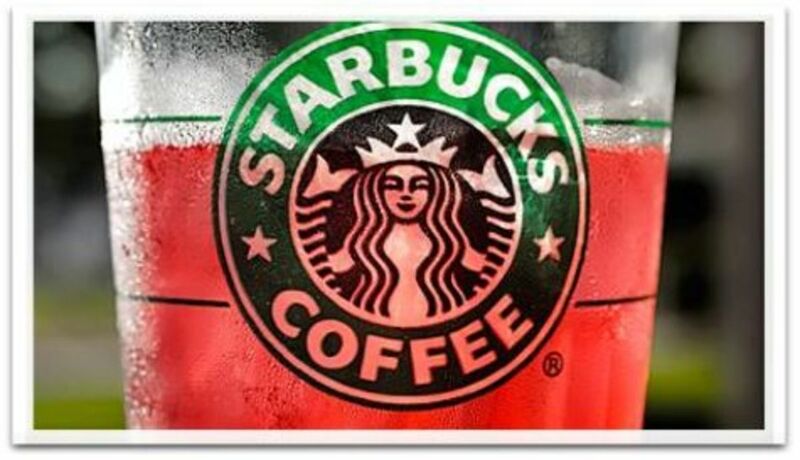 We do however have a few rather unique qualifications for the coffeehouses we travel to. 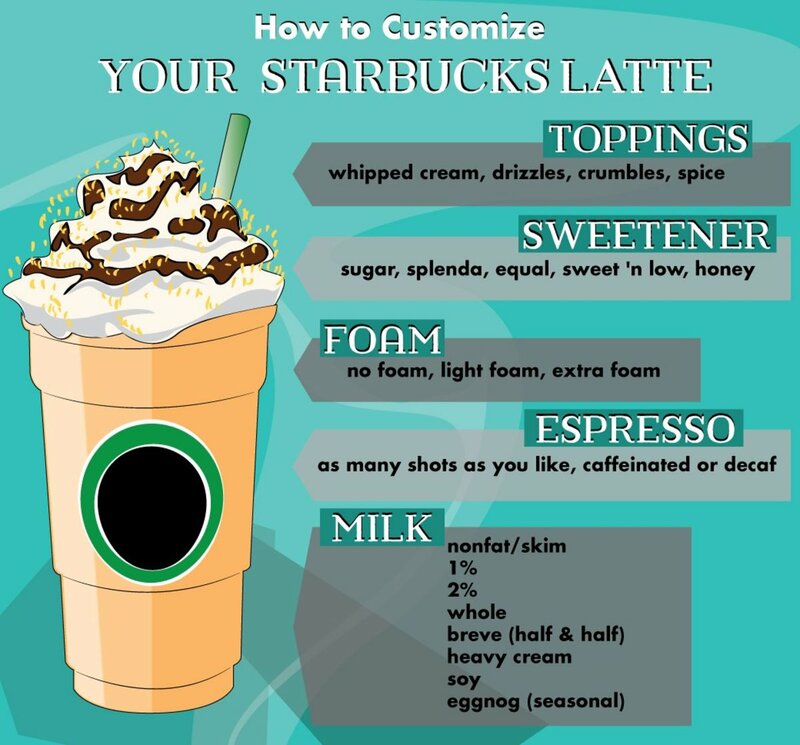 First, while I love coffee shops I actually hate the smell and taste of coffee, instead preferring a good chai or matcha green tea latte. Second, my daughter is extremely lactose intolerant so any coffeehouse we travel to must off dairy alternatives. Thankfully Door County has yet to disappoint in providing us with new shops to visit each year. 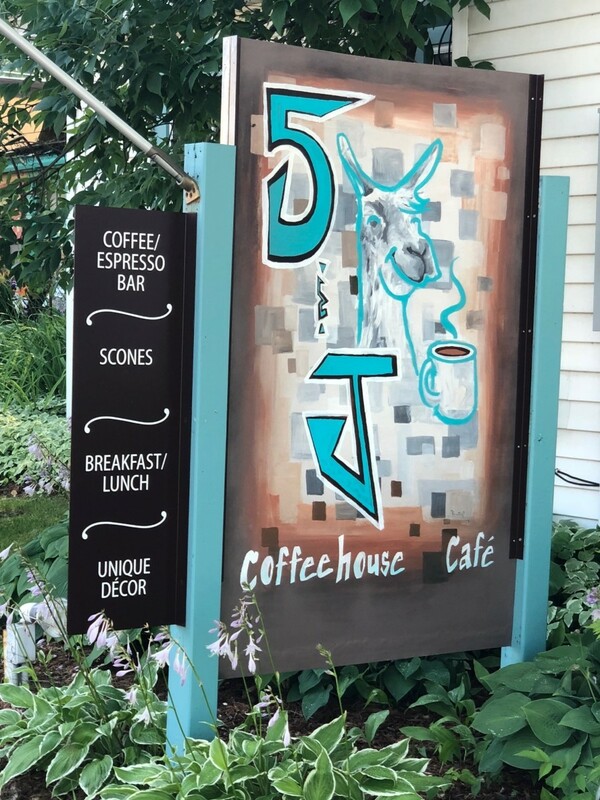 Actually our first stop on this year's tour, 5th and Jefferson Coffeehouse Cafe is appropriately located on the corner of 5th Avenue and Jefferson Street in Sturgeon Bay, WI. Instantly captivated by the shabby chic decor of the front porch and outdoor seating area we actually took some time to walk around the house to see the metal sculptures and garden on the other before heading inside where the decor continues throughout the various rooms that offer seating areas. 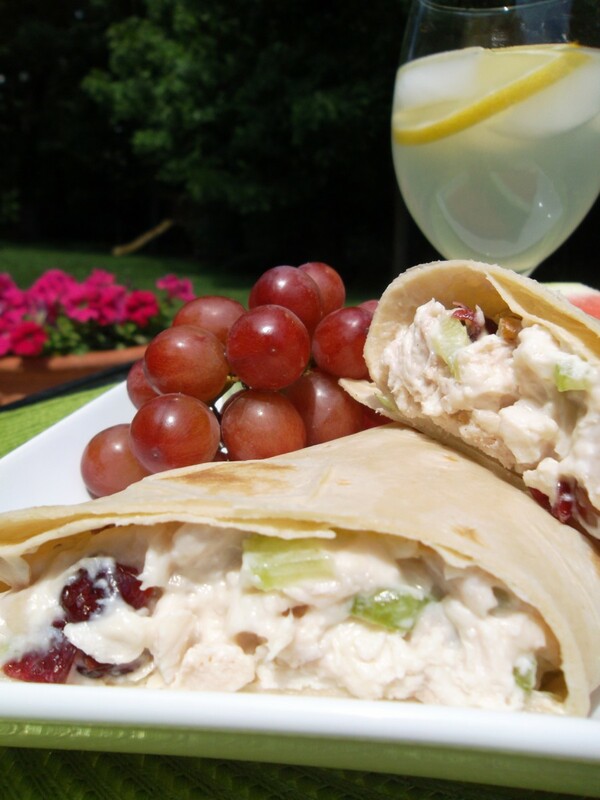 With a breakfast, lunch and bakery menu along with large assortment of coffee, non-coffee, smoothies and Italian soda flavors to choose from everyone in your party should easily find something to enjoy. Analog Ice Cream and Coffee was actually the last stop of our 2018 tour, popping in for drinks as we made one last trip up to the tip of the peninsula before heading home. 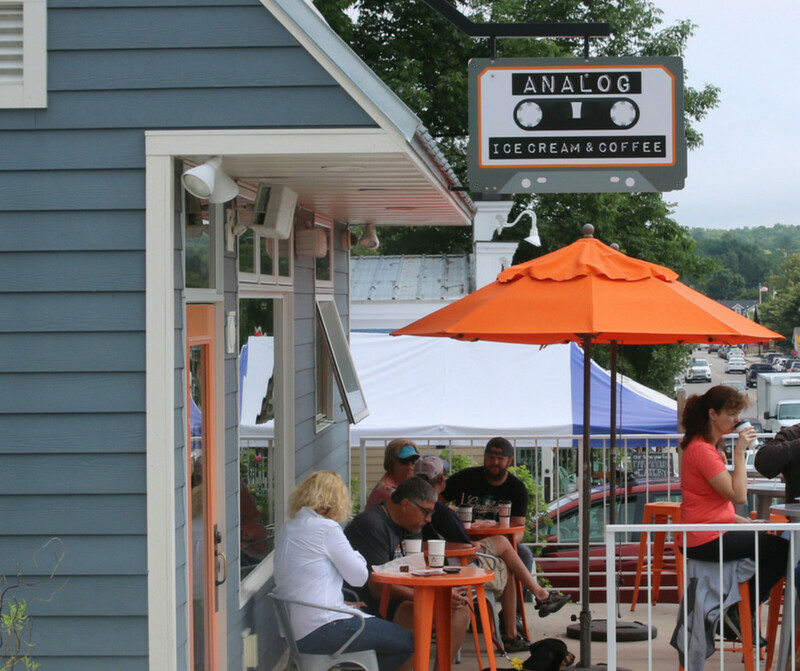 Located on North Shore Bay Drive, the main shopping street of Sister Bay, WI their orange umbrellas and outside seating area tempts visitors to escape the chaos of shopping and stop in for a yummy treat. They had a wide variety of hot and iced coffee and non-coffee drinks, along with a raspberry Italian soda option my daughter loved as well as numerous ice cream flavors for those not looking for something to drink. Another last day visit of our tour, we drove by and were captivated by the name so decided to stop and check it out. An extension of Ecology Sports, it is located on Hwy 42 in Liberty Grove, WI. Housed in the lower level of the old Town Hall building it surprises you with it's unique French themed atmosphere as you walk down basement stairs. 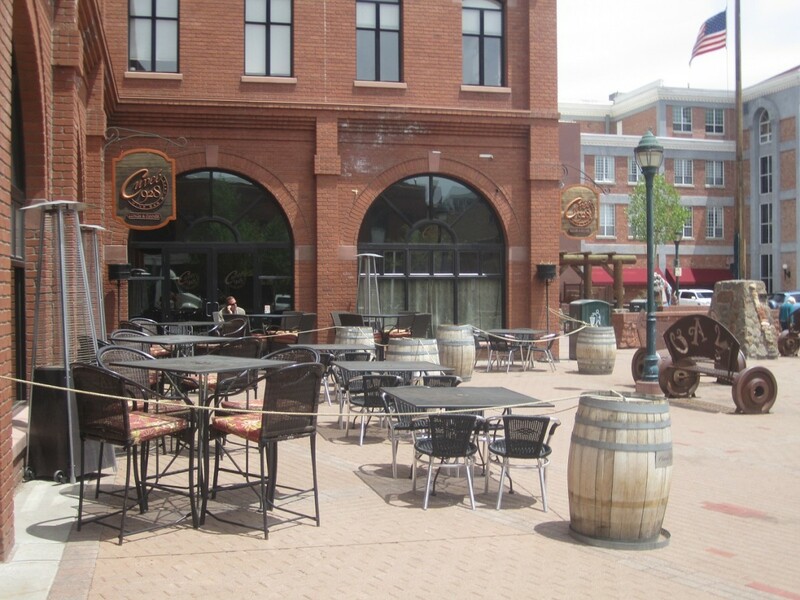 They offer a breakfast and lunch menu with several vegetarian options available in addition to numerous drink options including coffee, teas, spirits, hot and cold alternatives. 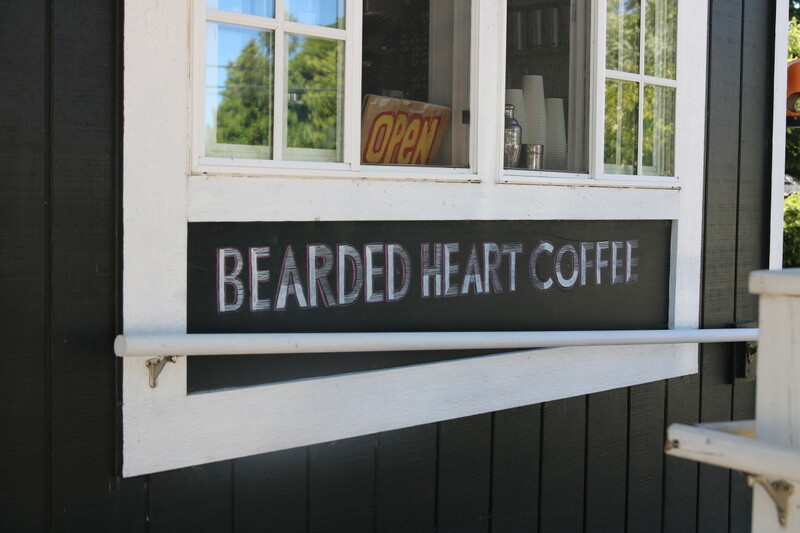 Bearded Heart Coffee was actually a referral made by Leroy of Leroy's Water Street Coffee as some place we had to visit. Our only coffeehouse in Baileys Harbor, WI we stopped by while doing a tour of the peninsula looking for Little Free Libraries. Located right on Hwy 57 it's again right along the main shopping area. It reminded me of a shack found along a beachside where people stop in for a quick drink, small meal and relaxation. 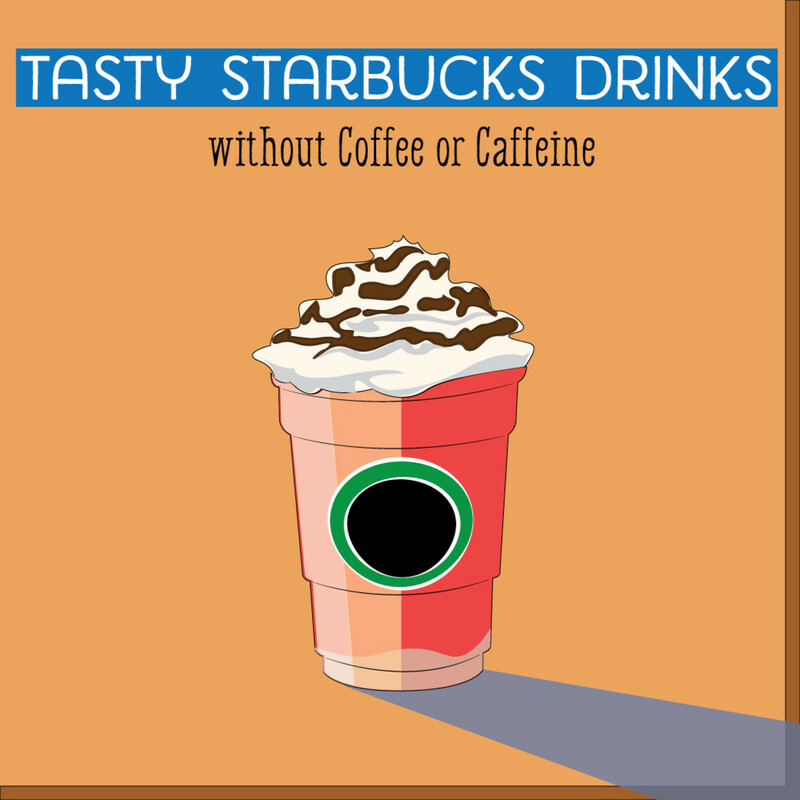 They offered a nice selection of coffee and non-coffee drinks along with two slushy options. The coffeeshop we dubbed Coffee and Art, Brew Coffeehouse of Door County was one we almost didn't get to due to the distance from where we were staying. The drive was definitely worth it! 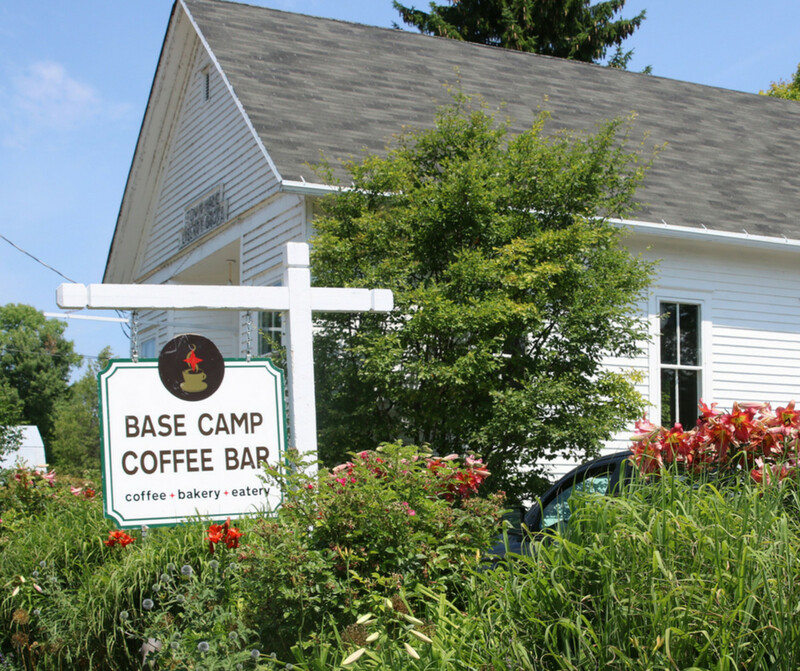 Directly off of Hwy 42 in Ellison Bay, WI, you experience the shabby chic decor of this coffeeshop from the minute you walk up to the door. Once inside you are able to tour the several seating rooms and view the art of the owners mother and daughter. A nice selection of breakfast, lunch and danish is offered in addition to hot and cold drink options. An environmental leader straws and covers are not provided at delivery, instead made available at a side table for those who require them. 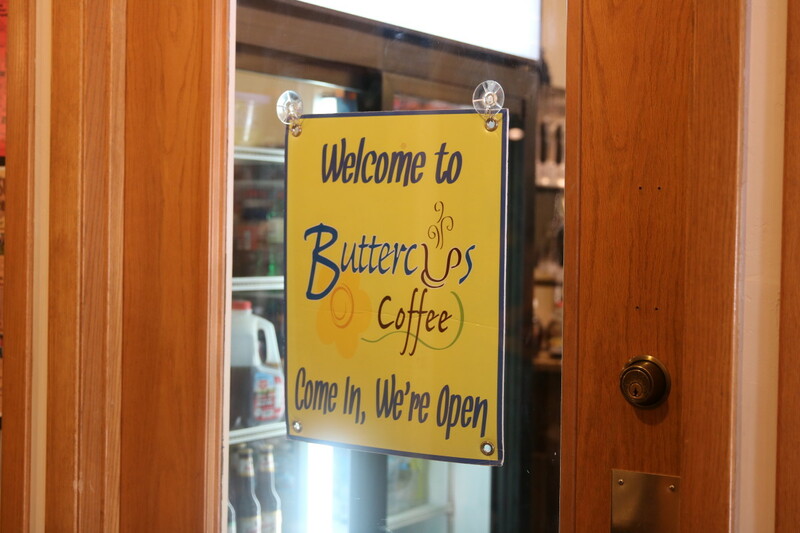 Our only repeat from last year, Buttercups Coffee is home to one of my favorite Door County barista's, owner Dave! From the minute you walk in the door you instantly feel like you are a local, from Dave sharing stories to other coffee shoppers welcoming you into their conversations. Ever directionally challenged individual, I did have a slight problem finding this shop the first time as it is located on Main Street of Egg Harbor, WI inside the Main Street Shops building. 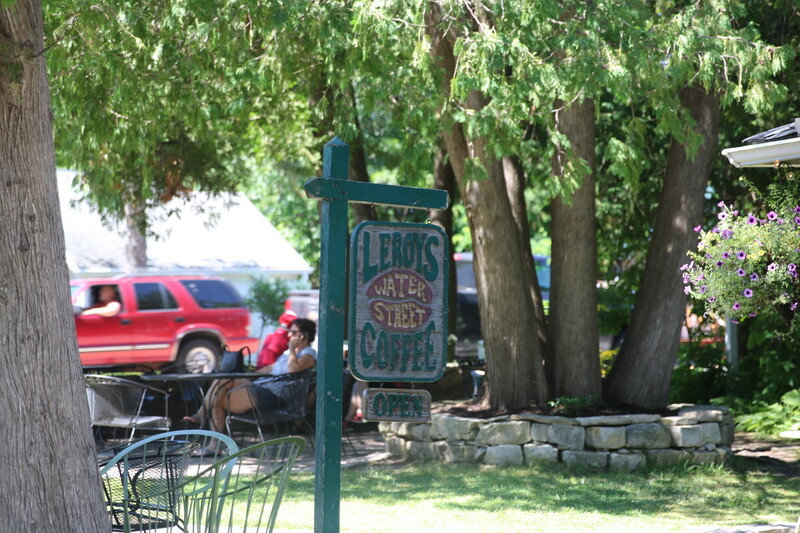 In addition to offering a nice assortment of hot and cold drinks including smoothies and lemonade, they also have several Door County syrups and jellies for sale. 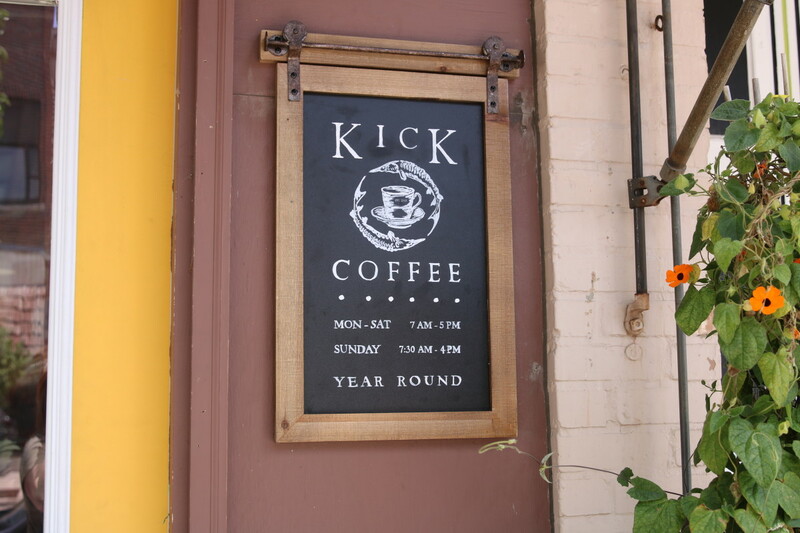 A referral from locals we met while enjoying 5th and Jefferson, Kick Coffee is located on 3rd Avenue in Sturgeon Bay, WI. It was recently purchased by new owners so in the process of getting a complete makeover, but it definitely isn't stopping them from continuing to offer a nice selection of hot and cold drinks. So if you blink you may miss this log cabin style coffee shop right off of Water Street in Ephraim, WI. 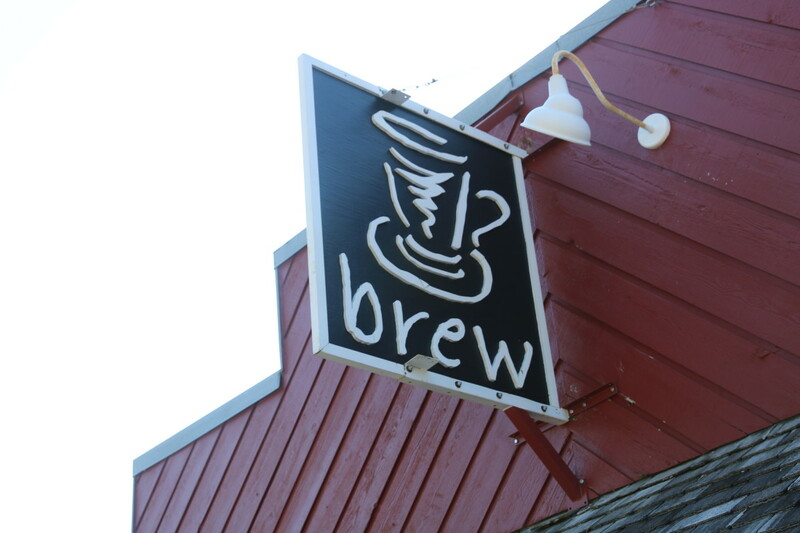 Referred to us by the owner of Brew Coffeehouse we were even lucky enough to be served by Leroy himself who introduced us to my daughter's new favorite Italian soda flavor, blackberry peach! With a selection of bakery items, hot and cold drinks everyone will find something to enjoy either inside listening to music or relaxing outside in their garden seating area. So all in all I would definitely say our 2018 Coffeehouse Tour was a success. With 7 new and 1 tried and true we are very excited to see what our 2019 tour will bring.